I had decided to make Moroccan chicken tajine for this Sunday’s dinner. 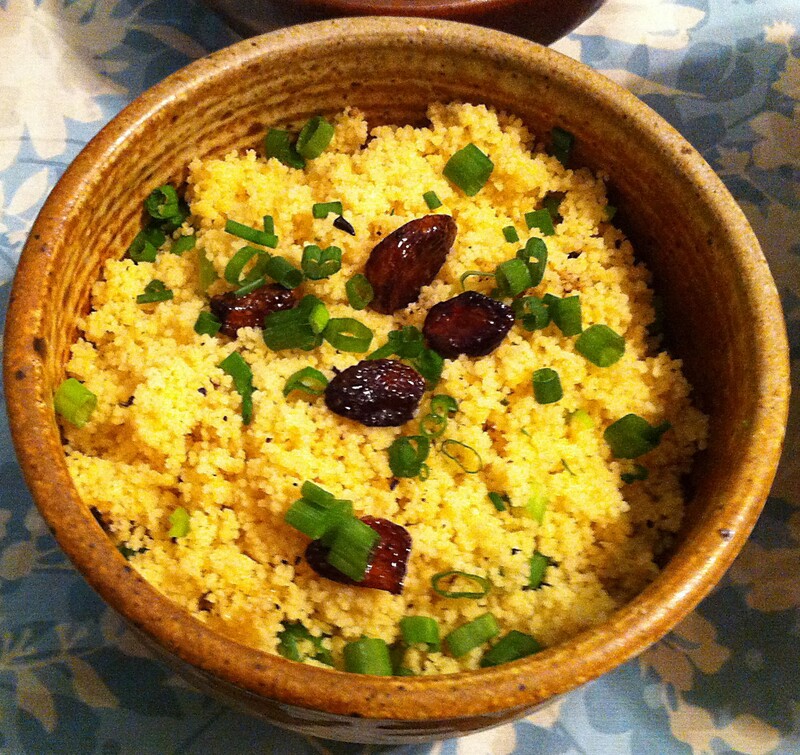 Couscous is an obvious side dish—especially since some of my diners are on a low carb diet. The chicken would be well spiced so I thought that the side dish should be a bland-ish canvas for the flavorful sauce. Jan’s favorite dish, when we go to a Japanese restaurant is kitsune udon. Udon is a thick wheat noodle that is a standard for a large variety of Japanese soups—both hot and cold. While kitsune refers to a fox, the distinguishing ingredient in this dish fried tofu—apparently the favorite food of the magical, Japanese, shape-shifting foxes. I had decided to make Moroccan chicken wings for this Sunday’s dinner. Couscous is the obvious starch to go with them. Since I was using Ras el Hanout—a Moraccan spice blend—for the chicken, I thought it would also work well with the pasta. Lamb calls out for a starch of some kind—potatoes, rice, or couscous. Since I am doing Middle Eastern lamb shanks, I decided I would use ptitim. This Israeli couscous was invented in the 1950’s as a substitute for rice. After living in Chengdu, Sichuan, China, my family has always really loved garlic—a lot! I had an idea that popped into my head about a side dish to go with my Moroccan lamb—large chunks of roasted garlic floating in a sea of fluffy couscous. My thought was that as you took a bite of couscous you would get a burst of roasted garlic goodness.